Ooh, a good, old-fashioned mafia-action-murder-mystery-revenge flick! While the premise is pretty basic and the animation isn’t anything special, 91 Days manages to hold my interest with its well-choreographed fight scenes and endless sense of intrigue. Angelo wants vengeance on the people that took his family away from him as a young child, and it seems like he’s willing to do anything in pursuit of that goal. The show knows to give a clear objective so the audience isn’t left feeling aimless and unsure of an actual ending. That being said, 91 Days also knows how to withhold informational, leaving plenty of discoveries for the road ahead. We start knowing that the murders have some tie to the mafia. Other than that, Angelo has to earn the details of his family’s death through his dangerous infiltration of the mafia. He doesn’t know who killed his parents or why, but he will, and that’s what’s so exciting about the show. There also isn’t a great deal of mindless violence and death in 91 Days. Sure, it has its intense bar shootouts and sinister manhunts in dark forests, but they’re not just there to tickle someone’s fancy or be a spectacle of grotesque, unadulterated manslaughter. No, the important characters always manage to survive and very little civilians actually get hurt in the process. Angelo in particular always seems to be looking for a way out, seeing a fight not as something to win but rather something to survive. One thing I worry about for this show is that it’s starting to introduce too many characters. Suddenly there’s this corrupt prohibition group in the latest episode (3), and I can’t tell if the show wants them all to be integral characters in the story or not. The group members all have a somewhat distinctive look, be it their hair colors and styles among other things, but the only one of them that bears any significance right now seems to be the leader. Right now I’m more interested in following Angelo’s journey, and while these secondary character may be important to the overall story, I’d hate to linger on them for too long. Basically, I feel they’re running the risk on stretching themselves too thin by introducing all these characters, which will only make it harder to pull off an astonishing climax that each character had a strong role to play in. Just don’t Durarara it. Please. The art style is undistinguished, the musical directions is decent, the premise is blatant wish fulfillment, and the main protagonist is nothing special. That all being said, I still find myself enjoying this show. The core characters are extremely likeable and some of them have a really nice rapport. Kaizaki gets along really well with An and Chizuru, and so whenever they’re together it’s always time for some delightful banter. The text chat between Chizuru and Kaizaki is especially cute. Then there’s the great misunderstood relationship between Chizuru and Kariu where Chizuru is trying to become friends with Kariu but Kariu thinks Chizuru hates her and is her bitter rival. My worry for this show is that ReLIFE laid a trap for itself from the very beginning. The rules of the ReLIFE program are that Kaizaki gets one year to experience high school again before turning back into an adult. Everyone from the school will have their minds wiped of his existence, but he gets to keep his memories. This is where ReLIFE puts itself between a rock and a hard place, because in the end the show can either: 1) Follow its own rule, thereby ending on a somber and regretful note which would most likely be completely off tone from what show seems to be setting itself up to be right now or 2) Break its own rule by unveiling a hidden third option or something stupid, therefore ending in somewhat of a cop out. When you make a rule for yourself, you better expect people are going to hold you to it…but at the same time, it just wouldn’t be fun to not give this show a happy ending. There are three main characters in this show, and there are three characters that I don’t give a damn about. Naho and Kakeru are the main focus of the show, and Suwa is somewhat important too, but the other three whose names I can’t even be bothered to remember are just there so that the dynamic feels like a group. If it was just Naho and Suwa, Kakeru would immediately feel like a third wheel, and so the others are needed to balance out the cast. They barely feel like their own persons, and there’s barely any focus on them at all. I know the story is not about them, but it would’ve been nice to make them feel like actual people. be it the way the secret about Kakeru was revealed. He’s dead in the future, and from the way they lead up to it I thought for sure they would reveal it after saying “let’s go visit Kakeru”, by walking up to his tombstone to pay their respects. Instead, someone just says it out loud and that’s it. So yeah, I was a little disappointed by that. I was also disappointed by the quality of the OP and ED, and the character models are kinda weird looking to me, plus the animation isn’t great…but despite all that, I still like the show and will keep watching. I did read the manga, so this is kind of a new experience for me in the sense that I’ve never watched an adaptation after already reading it. I gotta be honest here: I do not like kids. I do not want kids. I do not find children very cute or amusing or worthwhile in any sense. Still, I watched one episode of this show and didn’t feel compelled to stop watching. I haven’t watched it since, mind you, but I’m not going to drop it just yet. Kotori seems nice and Kouhei’s a total DILF, and I wonder what the future holds for these two. This show is apparently about cooking though, which makes me confused as to why the characters have such melancholic backgrounds. Kouhei’s wife is dead and Kotori basically has no parents. I’ll be interested to see where this one goes. 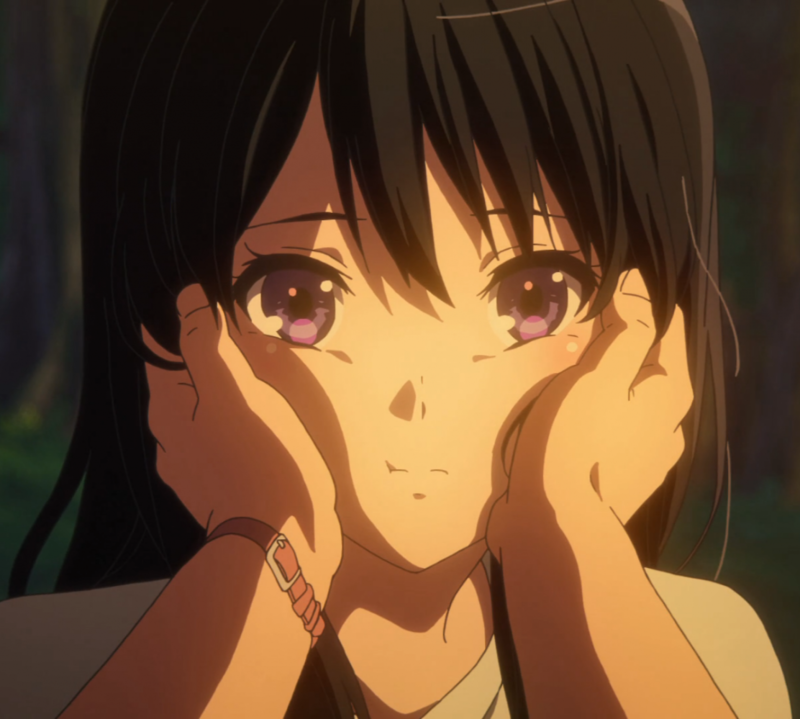 Are there any summer anime I’m missing? I’m not watching that much this season and probably have room for one or two more, so recommendations in the comments would be much appreciated. What would also be appreciated is your thoughts on these anime and what your favorite anime this season is so far. Mine would have to be ReLIFE, although if 91 Days manages to stay competent in its storytelling, it might just take my top spot for the summer. Thanks for reading. Nice first impressions – I think you hit the nail on the head in respect to 91 days. The revenge premise and mafia setting aren’t all that fresh at face value but it’s definitely bringing something refreshing and engaging to the table with it’s cinematography and atmosphere.